Freed from its burden of being the mid-size sedan for every luxury buyer, the 2019 Lexus ES sedan, now in its seventh generation, grows slightly sharper in each of its several distinct flavors. The 2019 ES350 plays the middle-of-the-road luxury role, the ES300h hits hybrid high-economy notes while newfound sporting fortitude emerges with the ES350 F Sport model, the first time an ES F Sport has hit the market with a firmer, more enthusiast-enticing demeanor. The new 2019 Lexus ES exterior takes inspiration from the recent LS500, down to the sloping roofline and the bright trim at the rear doors’ side glass. The new ES is longer, lower and wider than before, and the low hood and very long shoulder all the way to trunk accentuate its new attitude. The ES’s conventional rear is bookended by the now-familiar spindle grille up front, rendered in bent silver slats on standard and hybrid models, and in a jet black mesh pattern on F Sport models. While the Lexus spindle grille has lost some eyes and gained others, there’s no question that the mesh version works better than the slatted one. The vertical version is visually jarring and looks like a set of mathematical “greater than” (>) and “less than” (<) symbols stacked up against each other, which makes the spindle even more severe. Thankfully, the mesh version diffuses that clash. Each Lexus ES350 and ES300h is trimmed outside in light accent colors while inside, trim is based on the interior color in either black accents or three different hues of wood including bamboo. The F Sport models get exhaust cutouts in the rear valance, more highly perforated leather and standard 19-inch wheels similar to those on the LC500 coupe. The ES350 and ES300h ride on 17-inch or optional 18-inch wheels. The ES’s soothing interior is everything that spindle grille isn’t. Flowing forms skip over door panel breaks and console covers while the door releases poke out of the door panels without bezels (as on the LC500). All ES permutations share a softness inside with many pliable surfaces to touch and a consistently high level of fit and finish. The instrument cluster straight ahead is small, though the optional large center infotainment screen (which can come with navigation) seems to span half the dashboard length; it’s huge. 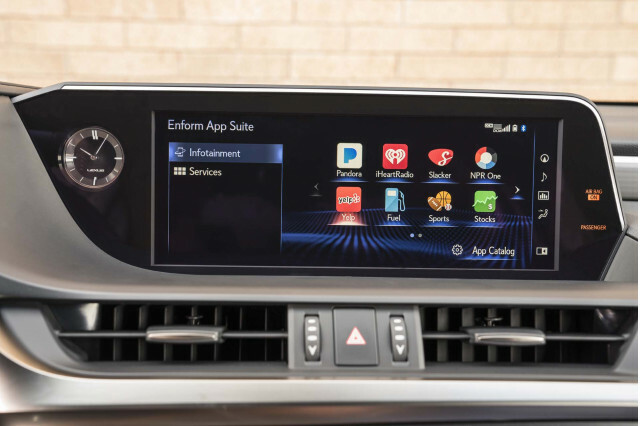 Which brings us to the dreaded Remote Touch infotainment interface. 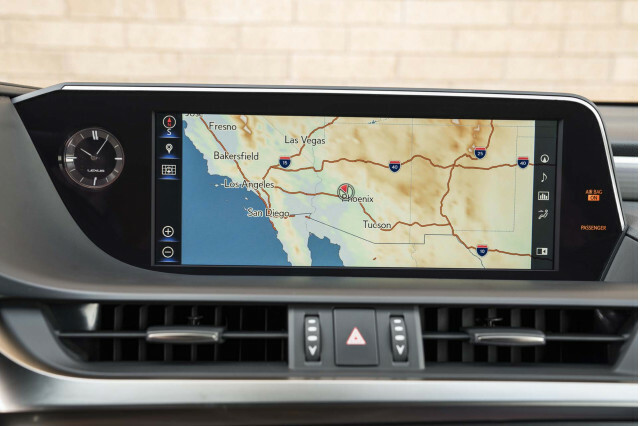 This blight upon the ES and any Lexus uses a touchpad to make selections on the center screen for audio, climate, navigation, and media choices. That leads to mostly overshooting the desired selection because of imprecise response, which drives to distraction. The rotary dials of Mercedes’ current Comand and Audi’s MMI simply work leagues better. Ease-of-use is a luxury itself and the Germans took it on the nose for their early, maligned systems. 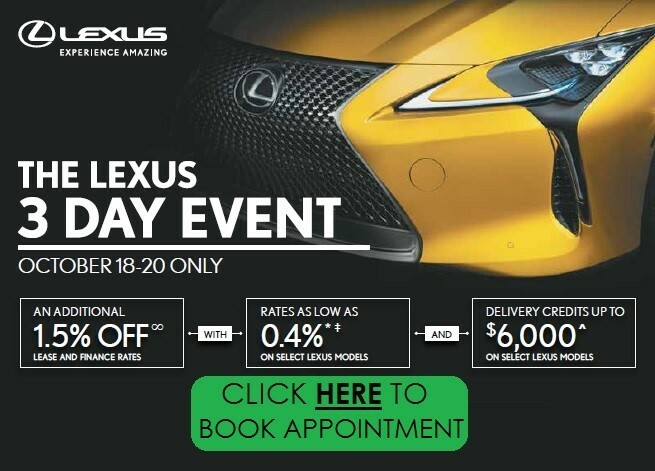 Lexus simply needs to scrub this bad system. And quickly. 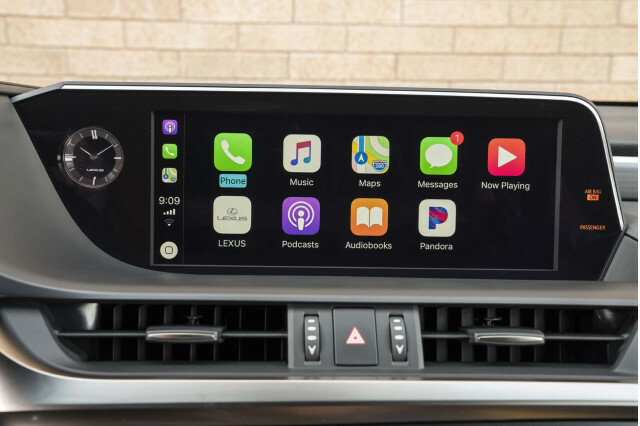 On the bright side, the new ES is the very first Lexus with Apple CarPlay compatibility, but light always comes with darkness: for cars without navigation, CarPlay won’t be folded into production until after October 1. The ES still lacks Android Auto, but it will have Amazon Alexa functionality, so you can buy even more stuff, and now, while driving. Additionally, the Lexus Enform app suite includes Spotify, iHeartRadio, Yelp, Pandora, Slacker, NPR One and also adds information about fuel stations, sports, weather and traffic, though the latter also shows up in navigation, too. In overall design, though, each Lexus ES variant hits its interior marks well. The seats—especially the F Sport’s—have improved drastically. The F’s seats are both comfortable for interstate drives, yet supportive for twisty-mountain, coffee-spilling cornering. Front-seat comfort is expectedly high, but rear leg room really raises the bar. Lexus claims best-in-class rear room and we believe it. Thanks to the redesigned nickel-metal hydride battery, the ES300h also retains all the trunk room of its non-hybrid twin, at 16.7 cubic feet, a rarity among hybrid sedans. 2019 Lexus ES: gas, hybrid, or F Sport? 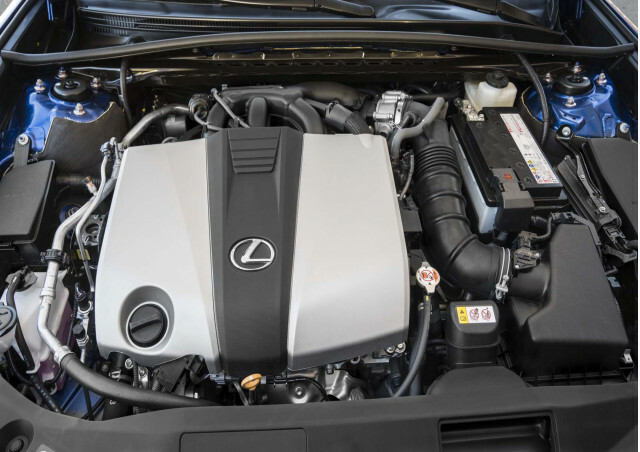 All ES350s use a 3.5-liter, 302-horsepower V6 which also makes 267 pound-feet of torque, improvements of 34 hp and 19 pound-feet over the prior V-6. It’s hitched to an 8-speed automatic that’s also manually shiftable and can accelerate from 0-60 mph in 6.6 seconds, a half-second improvement over the 2018 ES350. No ES will be accused of being a rip-snorting hot rod, but the V-6-powered ES350 accelerates well and barks a pleasing tone, helped in the F Sport by additional sound pumped through the stereo speakers tracing a pre-fixed digital map of the V-6’s intake snarl. The Lexus ES350’s transmission clicks off manual shifts via the paddles, but the torque converter does not always lock up, especially when the throttle is lifted mid-corner and you hold a shift. It also shifts on its own if you encroach the redline or bury the throttle in a gear it thinks is too high for conditions. The ES350 F Sport uses Adaptive Variable Suspension that have KYB-supplied “swing valve” shock absorbers that improve damping response time by a factor of 10 over the standard shocks. And the F Sport’s gee-whiz shocks and stiffer anti-roll bars help to tidy up the historically soft ES suspension during brisk cornering and over undulating roads with dips and crests. But it does not quite reach the level of control or feel baked into the sportier equivalent models from BMW, Audi, Mercedes or even recent smaller and sports-suspended Cadillacs. And that’s not because Lexus is incapable of it. They are and the LC500, the GS-F and the IS-F are proof. This is a tricky needle to thread for a brand that wants to slowly conquest more enthusiast-minded customers. Meanwhile, the drive mode dial sits on the side of the instrument hood, and varies throttle and transmission response between Eco, Normal, Sport and—on F Sport models—Sport + modes. This also influences shock damping on F Sport cars. Our F tester handled every corner we threw at it and showed a marked difference in feel and agility over past ES models, though we also did not throw it Porsche-level corners, either. We managed to eke out some serious tire-singing in the more twisty sections, at which point steering feel does indeed inform you of potential doom, but the number of customers who will drive the ES and even the F Sport version in such a canyon-strafing manner will be few. 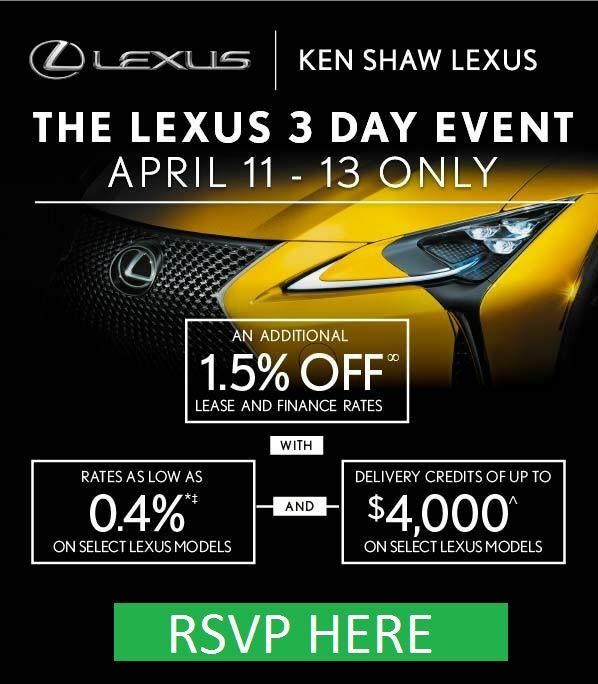 For that kind of Andretti-ness, a full F model lexus like the GS-F would be a better choice. This is a sports-flavored luxury sedan rather than a luxury-flavored sports sedan, no matter how you slice it. The 2019 Lexus ES300h hybrid powertrain is based around a 2.5-liter inline-4, though the power control unit, transaxle and battery are all new. The battery is smaller and now resides under the rear seat, opening up trunk space. The ES300h serves up impressive acceleration, if not ES350-ish, and hits 60 mph in around eight seconds on paper, and feels stronger than the quoted 215 total system hp. The ES300h stays quiet when flogging it, too; the CVT parks the engine at perhaps 5,000 rpm, but noise is low. And when trundling around at parking lot speeds, there’s next to no inverter sound, partially due to a new multi-layered firewall blanket. The new ES comes with a full deck of active safety features including automatic emergency braking, pedestrian and bicycle detection, road sign recognition, adaptive cruise control and rear object and pedestrian detection during parking. As for efficiency, the ES300h will post impressive 44 mpg city, 45 highway, 44 combined ratings and will be the leader among luxury hybrids without a plug, admittedly a small class. The ES350 is predicted to reach 22/33/26 mpg. Even with the solid F Sport effort here, our drive showed the new 2019 Lexus ES as a luxury-focused sedan at its core with a reliability pedigree second-to-none, and that’s not a bad thing. 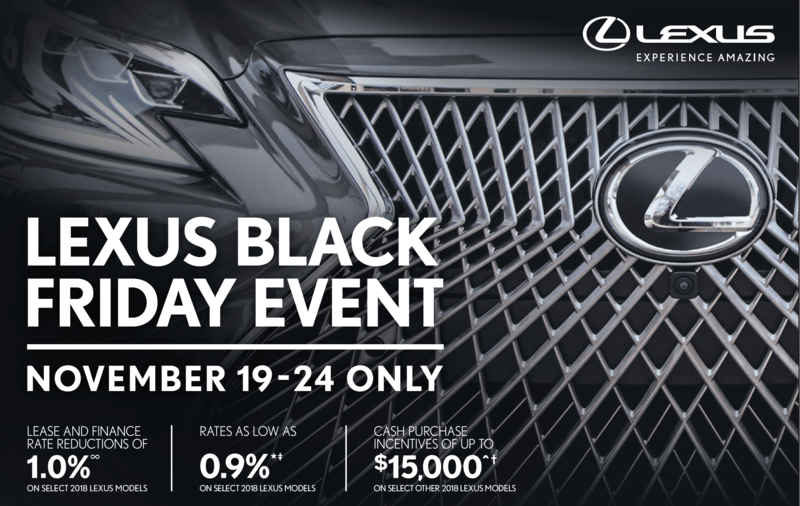 Lexus provided travel and lodging to Internet Brands Automotive to bring you this firsthand report.